For those of you who don’t know, video games aren’t my only main interest. I also have a heavy passion for music, and when the two come together in a perfect little marriage, I can’t control my excitement. Such is the case with Infamous 2. 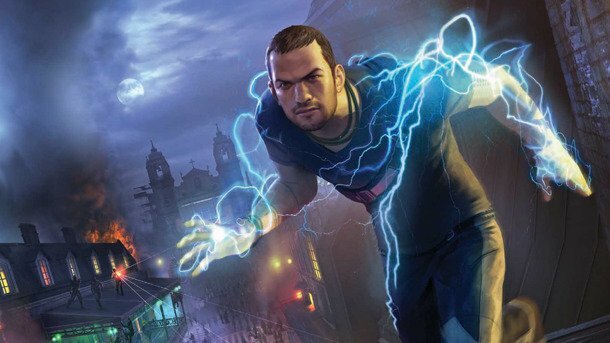 Infamous 2 is the upcoming sequel to the 2009 Playstation 3 hit by the same name (minus the 2). It’s one of those epic, superhero adventure games where you go around a city, save civilians, and learn more about your past at the same time. The game is said to feature an original score with a full symphony orchestra and, wait for it, a jazz band from New Orleans named Galactic. When a game is attempting to be an epic and heroic, it may seem odd to throw jazz into the mix. However, Infamous 2 is on the right track because the game takes place in a fictional city based on New Orleans. With the addition of jazz, the made up city of New Marais will now look and sound even more like real city.